Chewing Gum for Acid Reflux: Can Chewing Gum Relieve Heartburn Pain? Can Chewing Gum Relieve Heartburn Pain? Whether chewing gum for acid reflux is good or bad is a common doubt. Acid reflux is a problem that has been researched for over years and people are intrigued to know the various ways to avoid it. New studies have come up with the finding that chewing a gum for a considerable period of time can help one avoid acid reflux. The burning sensation that takes place after eating something spicy or fat containing foods, is generally known as acid reflux. This problem can even become a chronic one and bother one every now and then. The acids and all the liquid content that was present in the food is forced to get back into the esophagus and it cause a lot of discomfort. Acid reflux occurs when the lower esophageal sphincter - a muscle that acts as a gatekeeper between the esophagus and the stomach - is weakening and does not close properly, so that acidic content in the stomach splashes back (refluxes) to the esophagus. The acidic fluid from the stomach touches the lining of the esophagus and causes a burning sensation. Technically speaking, acid reflux is triggered by two factors: a weakened lower esophageal sphincter and an extra acidity in the stomach. Chewing gum for acid reflux is expected to increase the saliva flow in the complete digestion cycle. The fluids that are present in food are much more acidic in nature as compared to the saliva. The acid that is refluxed into the esophagus is neutralized by the saliva flow that is increased. It just sends back all the acids back into the stomach and you are relieved of the uneasiness that is caused by acid reflux. The esophagus is actually even washed by the saliva. Saliva is alkaline in nature and therefore, the problem of acid reflux can be relieved by chewing a gum after you have a meal. Moreover, people have even observed that if the chewing gum is sugar free, even cavities can be avoided and one can really maintain his oral health. People who are having GERD feel really nice after chewing gum after they have their meals. Chewing gum has helped many and this method has been scientifically proven and therefore, it is a quite safe to go in for this method. 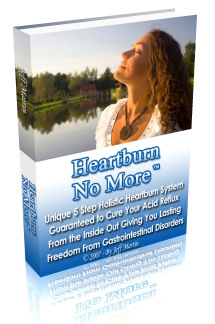 It is like a short cut or a trick method that can help one to achieve a relief of acid reflux symptoms. With that said, chewing gum cannot cure acid reflux and prevent its recurrence. The reason is that the root cause of acid reflux basically lies in the lifestyles, genetic factors, physiological factors, dietary habits of individuals and the complex interaction between them. Therefore, although, chewing gum for acid reflux provides a great amount of relief, you should adopt the holistic approach to cure the problem of heartburn and acid reflux permanently. What to keep a check on? It may happen that this technique might not work with everyone. Be it a hard candy or even a chewing gum, a lot of air goes into the body when one is continuously chewing. Air facilitates bloating and flatulence also increases. It is advised that you chew gum only for a period of around half and hour and that too between meals. If you are skeptical about the results, just give it a try. If you take to chewing gums, be careful that you do not get addicted to them. They should be solely consumed for the purpose of avoiding painful acid reflux symptoms and not for pleasure. Moreover, chewing gum is not a cure itself but rather a means of achieving immediate relief; it cannot help you in the long run as it doesn't tackle the acid reflux root causes. Did you know that your painful, distressful acid reflux symptoms could be permanently eliminated by adhering to the holistic approach (by taking specific herbal and vitamin supplements while following a complete set of dietary principals, detoxification and Candida control protocols)!